Between 1775 and 1783, some 200,000 Americans took up arms against the British Crown. Just over 6,800 of those men died in battle. About 25,000 became prisoners of war, most of them confined in New York City under conditions so atrocious that they perished by the thousands. Evidence suggests that at least 17,500 Americans may have died in these prisons,more than twice the number to die on the battlefield. It was in New York, not Boston or Philadelphia, where most Americans gave their lives for the cause of independence. New York City became the jailhouse of the American Revolution because it was the principal base of the Crown's military operations. Beginning with the bumper crop of American captives taken during the 1776 invasion of New York, captured Americans were stuffed into a hastily assembled collection of public buildings, sugar houses, and prison ships. The prisoners were shockingly overcrowded and chronically underfed,those who escaped alive told of comrades so hungry they ate their own clothes and shoes. Despite the extraordinary number of lives lost, Forgotten Patriots is the first-ever account of what took place in these hell-holes. The result is a unique perspective on the Revolutionary War as well as a sobering commentary on how Americans have remembered our struggle for independence,and how much we have forgotten. 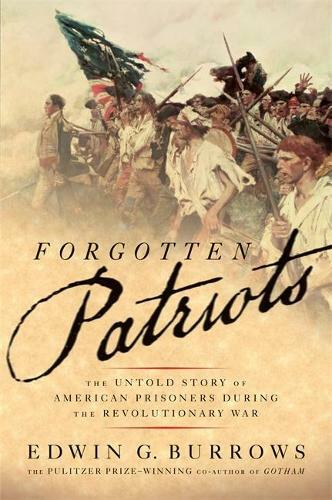 "[A] pathbreaking examination of the treatment of American prisoners during the Revolutionary War... Burrows's book is a landmark whose significance far outweighs recent, popular biographies of the Founding Fathers. His sparkling prose, meticulous research and surprising findings recast our understanding of how the new nation was brought forth... Burrows masterfully explores a subject that had been left nearly untouched for more than two centuries." "[Burrows] offers riveting accounts of what prison life was like in New York...It is as if, more than 200 years later, fitting tribute has finally been paid."